This chapter continues the flashback of the fishmen pirates that was formed underFisher Tiger. A word of warning, there are spoilers ahead. Read the chapter first. From the earlier chapters, we knew that Queen Otohime, the mother of the cry-baby (and huge) princess, was pushing for unity with the humans and fish-folk. I pictured her as a kind and benevolent leader. She, apparently, is more than that. I guess she believes that “love hurts” or something like that… That scene where she “scolded” a thief was both heart-warming and amusing. To think that she is willing to get hurt by scolding that thief with slaps… It just takes the phrase, “This is going to hurt me, more than it’s going to hurt you,” a more literal approach. She has a weaker body than everyone else, it seems. Being a kind, and loving royalty that she is, she wants unity with the surface-dwelling humans and create a better understanding between the two species. Everything was going well, until Fisher Tiger, an adventurer, freed the slaves, earning himself the title of both a hero and a criminal for his deeds. Though it seems that there are deeper roots to the problem with the humans and fish-people, and there are some who thinks that Otohime’s actions are useless. One among them is Jinbei. When Fisher Tiger returned with news of his acts above water, his brothers from the Fishman District could not just let him die. Despite the various paths that those who are connected to him has taken, they stood together to rise against the oppression that is the slavery of the fish-people. 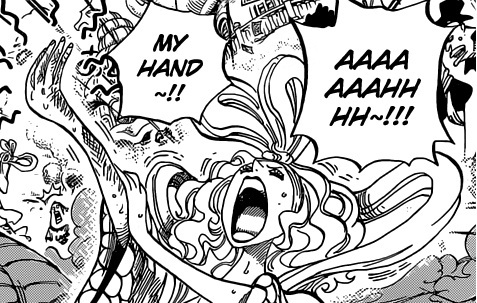 This flashback arc is giving me a different impression on Arlong, and is strengthening the statement of Hacchi that Arlong wanted to be with the humans at one time. 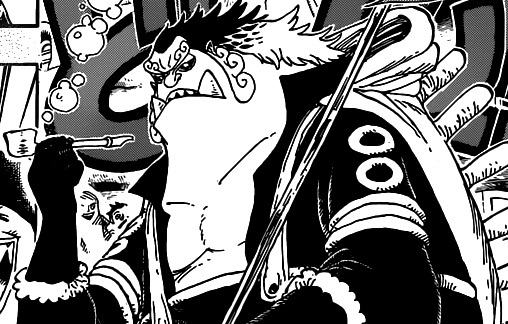 In the last scenes of the chapter, he tried to stop Jinbei from beating a marine “too much” because that soldier is already unconscious, and later commenting that their actions are too brutal (while laughing his signature “Shahahahahaha….”). I guess the death of Fisher Tiger solidified Arlong’s hate for humans later on, eh? So far, we are seeing how a revolution can be done, through peaceful means, such as how Otohime is doing, or through a bloody fight, such as how the Sun Pirates are doing. Well, the flashback will still continue, and while some One Piece fans are not too fond of these arcs, I myself like it, for it gives me a deeper history on the characters and the circumstances that led to the development of things as they are now. Posted in review.Tagged arlong, discriminatinon, fisher tiger, jinbei, manga, one piece, otohime, pirates, revolution, slavery, sun pirates.